Sorry about the flood of blog posts, but I was on a vacation, so I didn’t get an opportunity to write earlier! 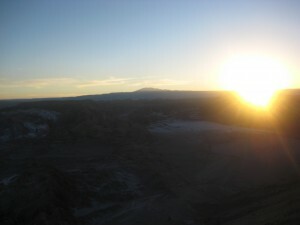 I just got back from San Pedro de Atacama, which is a city in the desert of northern Chile, and wow, I had a blast. Initially I didn’t want to go because I didn’t think I had the money, but I’m so glad I went. There were eight of us, all from the same program. We went for four nights, and it was an adventure from the very start. 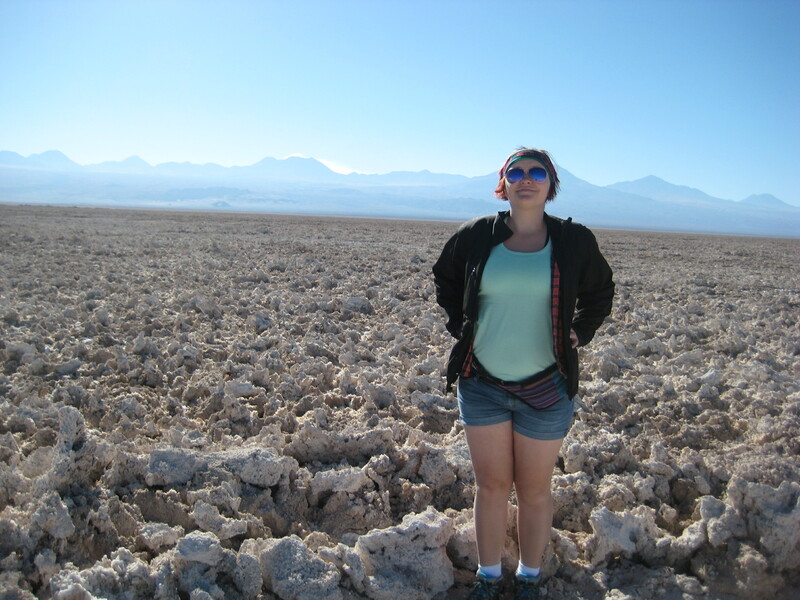 We had to go to Santiago at 5 am to catch a plane; that plane took us to Calama, and then we had to get a ride from Calama to San Pedro. Luckily it all ended up working out, but there were some stressful moments in there, especially with eight people. Everything ended up being okay; we all got along surprisingly well during the trip. We found a tour guide company that would take us everywhere we wanted to go for 56.000 CLP (roughly 112 USD). That included breakfast or snacks on some tours, too, so we got a pretty good deal. We went to Puritama hot springs, which were a little cold because the snow is melting right now and flowing into the springs, but they were still nice. The next day we went to Lagos Altiplanicos, which are salt lakes up in the mountains, and then to Laguna Cejar, which is a lagoon so salty that you cannot sink in it, like the Dead Sea. The next day we went to see the geysers, which are the third largest in the world, after Yellowstone and some in Russia. 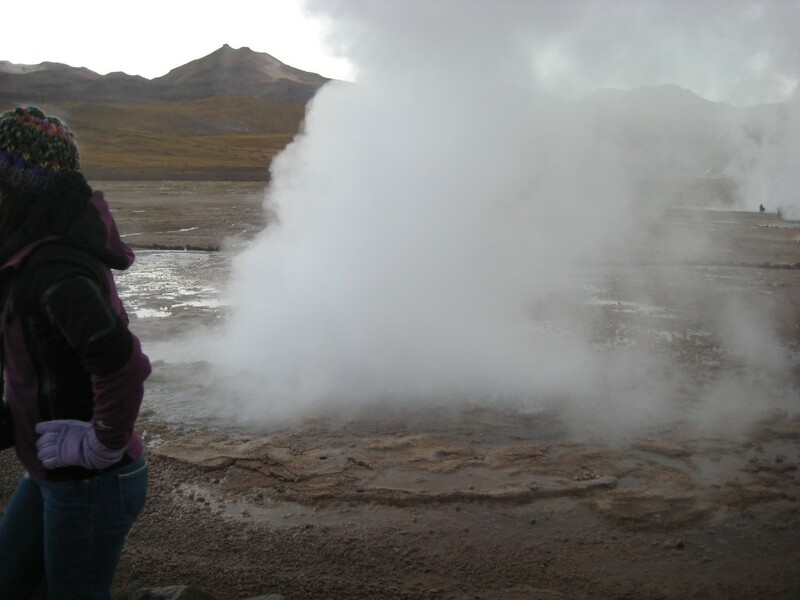 Those were especially awesome to see because I’m a geology major, and geysers are a geological phenomenon. And that afternoon we went to Valle de la Luna and Valle de la Muerte, which are just two tours you have to do if you’re there! There are incredibly popular attractions that are basically just valleys you can walk through. It was so hot, but even that couldn’t stop us! We all got home sometime on Monday, some early and some late. It was such a good time, and I’m glad I went. If you’re going to study abroad, it’s important to take advantage of as many things as possible.